5 stars - "Impressive" U.P. mich Very impressed with machine. So far it's meeting all my expectations. 5 stars - "Excellent!" Zeoh I use this in an auto restoration/fab shop. I replaced my miller 200 MIG with this for the Multi Matics compact size and portability. I use it for roll bar and body welding it is GREAT. The Bernard MIG gun is a better gun than the Miller guns. 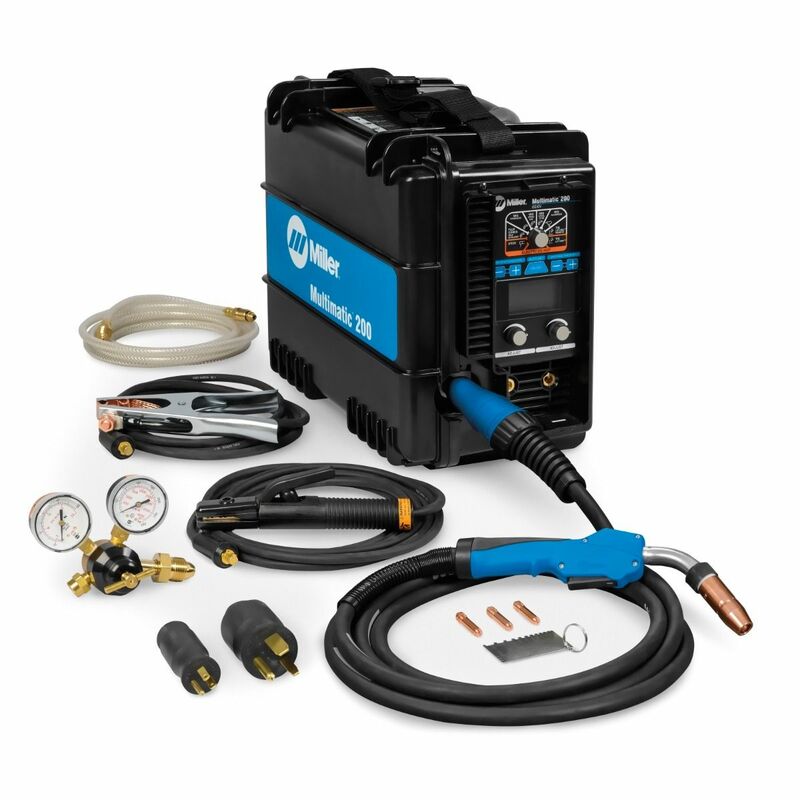 The auto set is great for novice welders and the sensing circuitry makes for excellent welds. No complaints, I have not tried the TIG function but would expect it to function as well as my Dynasty for DC welding. 5 stars - "Awesome welder! Great customer service!" Elizabeth B. Awesome welder! Great customer service! 5 stars - "Big performance in a small package!" Lorne M. This welder is my favorite welder out there. It is smooth, quiet, and welds like a dream! 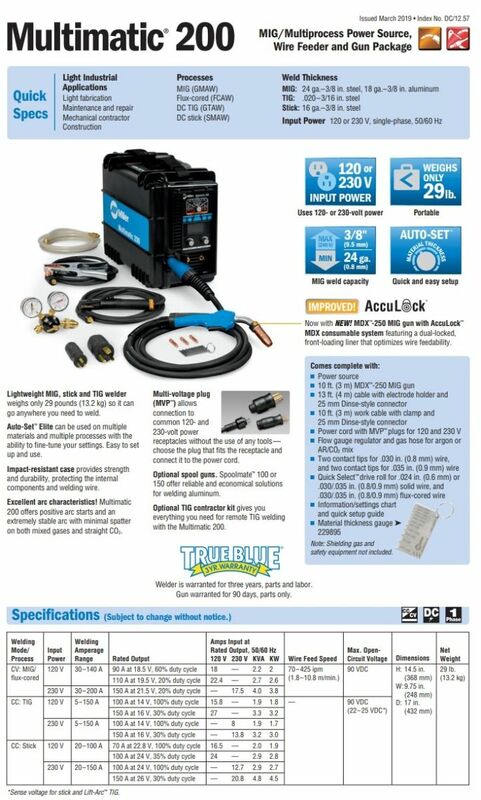 I definitely recommend the Multimatic 200!